Tiger Muay Thai and MMA training camp, Phuket, Thailand alumni Yasubey Enomoto improved his professional MMA record to 8-3 with his first round triangle submission victory at the M-1 Global event held in Phoenix Arizona. The event was held inside the Grand Canyon University event center, which is the same college Tiger Muay Thai BJJ Black Belt Ray Elbe earned a Bachelors of Education degree from. 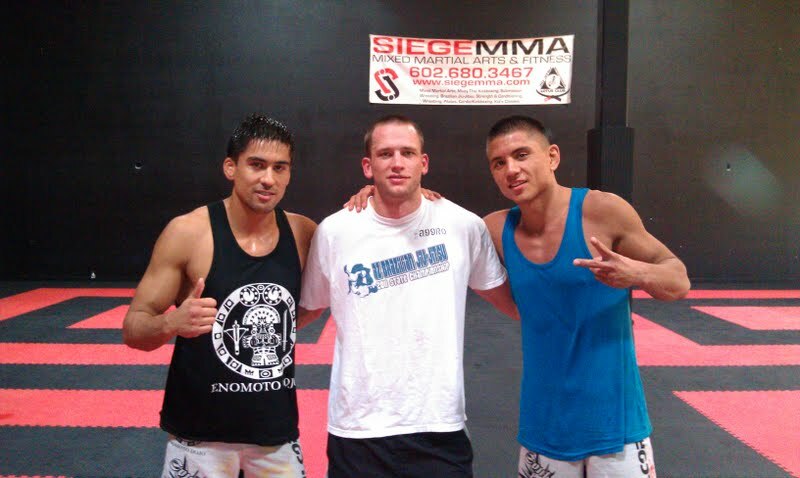 In preparation for the final prefight training, Yasubey Enomoto and his older brother Felipe joined Tiger Muay Thai’s ‘Coach Drew Jitsu’ at the Siege MMA training facility. Pretty cool seeing the Tiger Muay Thai support system work internationally. Yasubey along with his older brother Felipe run the very good Enomoto Dojo academy in Switzerland.